With in Delhi there are many places to visit also there are many places to visit around Delhi. Localities wish to spend their weekends in a place away from the pollution, traffic of Delhi. Luckily Delhi has many in and around places which refreshes mind and body. Some important places are Agra, Jaipur, Rishikesh, Haridwar, Mathura, Vrindhavan, Bhartpur, Dehradun. 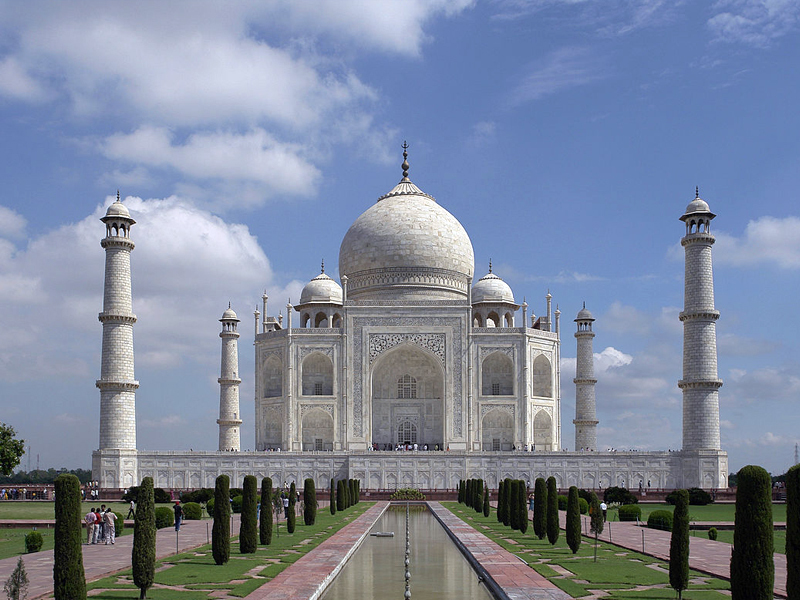 Agra: Agra is the home for the seventh wonder of the world the Taj Mahal. It is situated on the banks of river Yamuna in Uttar Pradesh. It is one of the major tourist’s destinations in the world. Some of the major tourist’s attraction is Taj Mahal, Agra Fort and Fathepur Sikhri. Agra is around 200Kms from Delhi and is easily accessible by road and train. One can start from Delhi early morning and come back on the same night or visit Jaipur. Agra can also reached by air. The nearest airport is Kheria Airport which is 5Km from Agra. It has flights to Delhi, Varanasi and Khajuraho. The best thing to do is while visiting Agra one can cover places like Mathura, Bhartpur, Vrindhavan and Jaipur. This may take one night stay in some place. Jaipur: Also known as the pink city, Jaipur is the capital city of Rajasthan. It was founded by Raja Jai Singh in the year 1726. It is around 260Km from Delhi and can be accessed by road, rail and air. Jaipur is a part of the golden triangle for tourists along with Agra and Delhi. Jaipur is famous for shopping like clothes, quilts, gems, jewellery, leather goods and many more. Some of the famous tourists destinations in Jaipur are Hawa Mahal, Amer Fort, City Palace, Jantar Mantar, Jal Mahal, Jaipur zoo, Nahargarh fort, Jaigarh fort and many other places. It easily takes more than a day to completely cover Jaipur. One should not miss to eat the famous Rajasthani dishes especially Dal Batti Churma. Rishikesh is located in the foot hill of the Himalayas of Uttarakhand state. It is mainly a pilgrimage place to Hindus. People who visit Badrinath, kedarnath, gangotri, yamunotri take a break either in Haridwar or Rishikesh. Rishikesh has ram sethu and lakshman Sethu Bridge seems to build by God Ram. It is a quiet calm and serene place. One can do some yoga and meditation here to attain some peace of mind. It is close to 240Km from Delhi and can be accessed through road. The nearest railway station is Haridwar. Haridwar is another pilgrimage place for Hindus. People when going to Badrinath make halt here and see the ganga arathi in the evening and proceed next day to Badrinath. 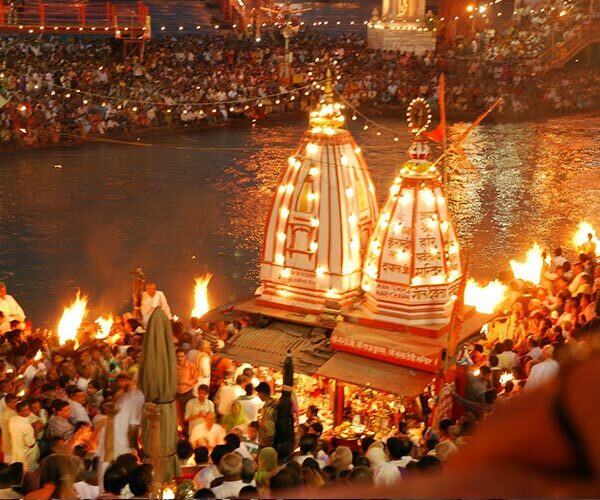 Haridwar is also spelled as Hardwar is located in the state of Uttarakhand. River ganga which takes birth in Gangotri flows for 253Km enters the indo Gangetic plains in Haridwar. The Ganga Arathi is Worthing watching in Haridwar. During the arthi the whole place near the river get immersed in Diyas and the chanting of mantras. People forget the world and watching this arthi here. One can spend beautiful evening along the river in Haridwar. It is close to 180 Km from Delhi and can be reached by road and rail. It is believed that bathing in River Ganga washes away the sins and one can attain moksha. Some of the important places in Haridwar are Brahma Kund, Har ki Pauri, Mansa Devi temple, Shantikunj, Chandi Devi temple and many more. The weather remains pleasant to very cold throughout the year. Haridwar can be visited throughout the year. 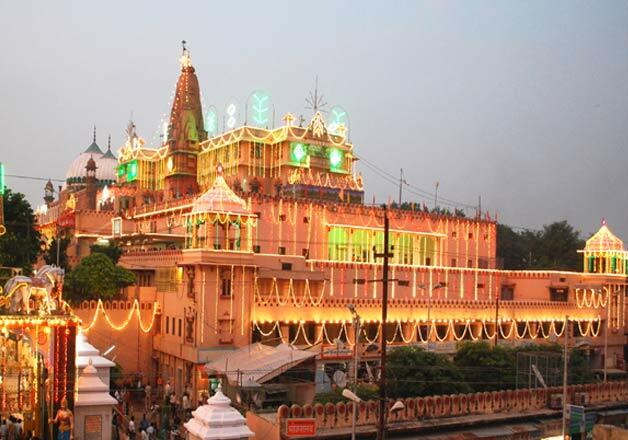 Mathura the birth place of Lord Krishna is located in the state of Uttar Pradesh. Mathura and Vrindavan is located on the bank of river Yamuna. Vrindavan and Mathura are considered as twin cities are about 56km from Agra. Mathura is around 145Km from Delhi and is easily accessible through road and rail. The main temple at Mathura is very huge and beautiful. Mathura and Vrindavan is one of the seven scared cities in India which are closely associated with Lord Krishna. One can visit Mathura while travelling to Agra from Delhi. Shri Krishna Janmabhoomi is the temple built around the prison cell where Krishna was supposed to have born is the main tourist attraction. Other places to visit in Mathura and Vrindavan are Keshav Deo temple, Mathura museum, Banke Bihari temple, Prem Mandir Vrindavan and many more. Bharatpur is a city located in Rajasthan. It is around 200Km from Delhi, 55Km from Agra and around 40Km from Mathura. One can plan for a good weekend to visit all the tree places along with Jaipur. Bharatpur is famous for its bird sanctuary. The national park is known as Keoladeo National Park. Bharatpur is easily accessible through road and rail. Agra is the nearest airport. The history goes back and says that Maharaja Suraj Mal founded in the year 1733. It is believed that Bharatpur got its name from Bharat, the younger brother of Lord Ram. Some of the important places to visit is the National Park, Bharatpur Palace and museum, Lohagarh fort, Deeg, Dholpur palace, Band Baretha and the ganga Mandir. The best time to visit the national park is from August to November to see resident birds and October to February for seeing migratory birds. Since all these places are in close vicinity one can plan for a weekend visit and cover all the above places except Haridwar and Rishikesh.